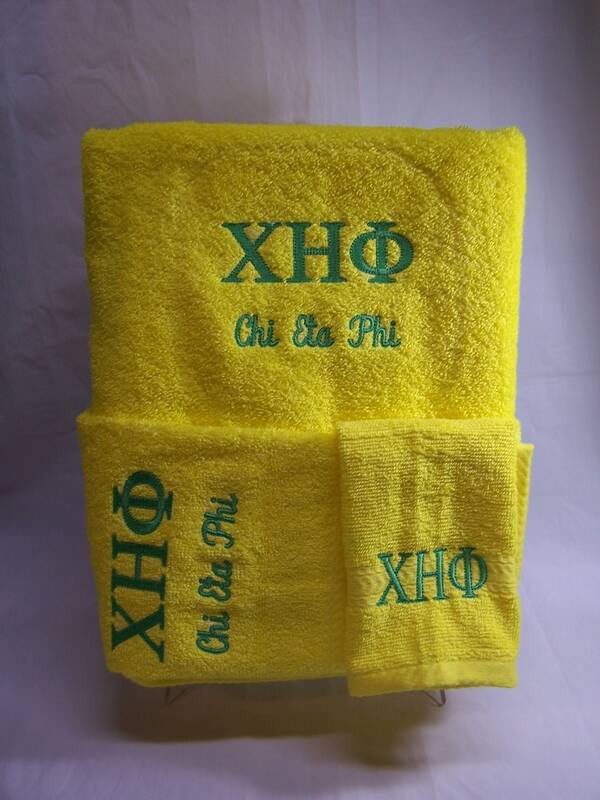 Chi Eta Phi Greek Letters embroidered in green on yellow or emerald green towel set. 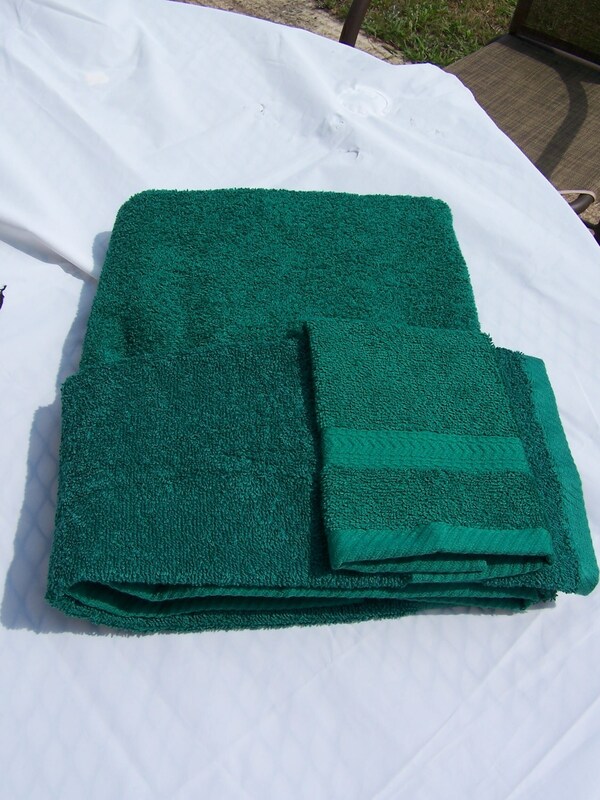 Set consists Bath towel, Hand Towel and Wash Cloth. All 100% Cotton. Washable. 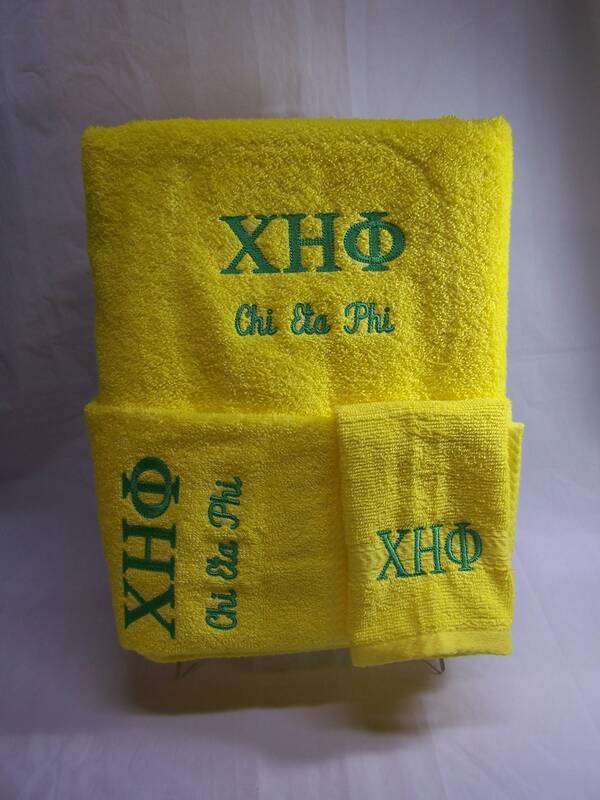 Perfect Crossing Gift, Graduation gift, Mother's day, holiday, birthday or any occasion gift for your favorite Chi Eta Phi Sorority Sister. 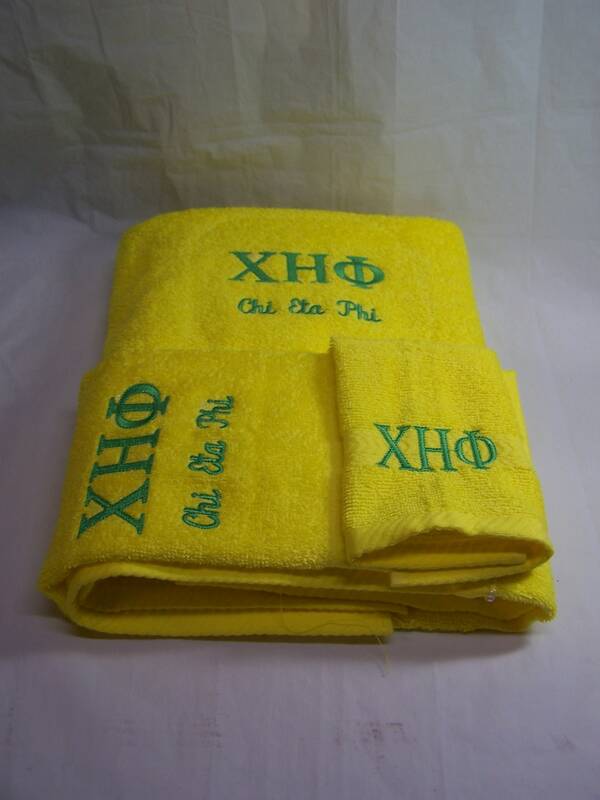 Approximate towel sizes: Bath 30" x 54"; Hand towel 16" x 26"; Wash Cloth 13' x 13"
We ship via USPS Priority Mail, Monday thru Friday. I love this shop! I love the products! !